Okay, so lets me start off by saying that this room has transitioned a lot. When we first bought our home our youngest Daniel was just one month old. This room went from having a crib and a toddler bed, to having two toddler beds, to what they have now bunkbeds! The good thing about having bunkbeds is the extra space you get. However, having bunk beds means the bed is never made. Especially when you have younger kids. You might be thinking that I made sure the bed was nice and tidy before taking these pictures right? Well can you believe it was my kids who made their beds. I stumbled upon a brand named Beddy's on Instagram and I instantly knew that these sheets would solve my problem. The material is soft and very comfortable. My kids are obsessed with their sheets. I love that they can have their beds made with just a zip! It's genius! On each side of the bunkbed we placed a storage system that we found at Ikea, were they store their hats, sunglasses, pajamas, and board games. They each have a closet but we kept their pajamas there for faster, easier access at night. Across from their beds we have their tv, cube storage unit, and books. I used the Ikea spice racks to hold their books. My kids both love to read especially before bed so I usually buy them books when they have the book fair at Giovanni's school. Im sure you can tell by now that we love Ikea for all things storage. 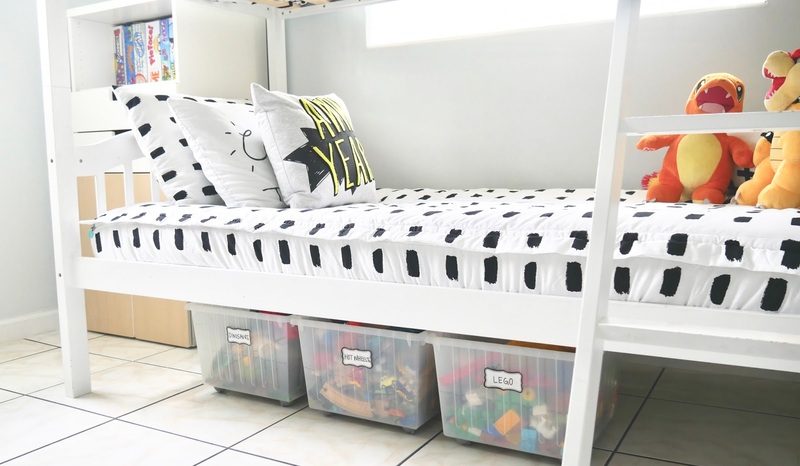 All the furniture items and storage bins (both in the cubes and under the bed) are from Ikea. I love that their bins are very sturdy and basically half the price that you would find anywhere else. 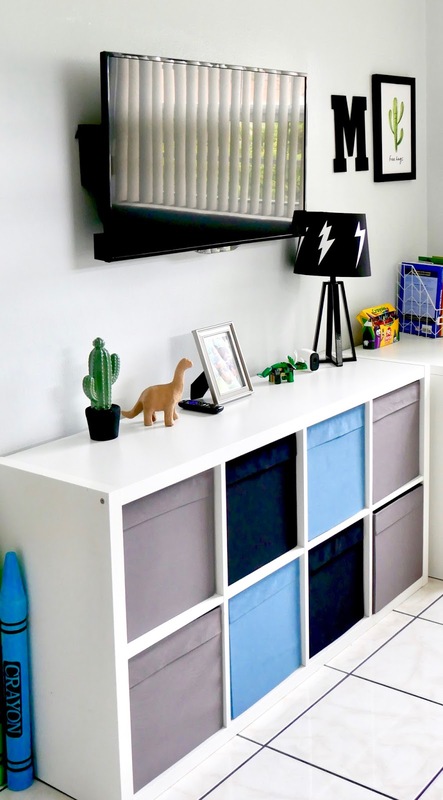 If you are looking for 13x13 bins, I definitely recommend the ones from Ikea. The color scheme I had in mind for their room was black and white. I wanted to stick with colors that could go with anything. That way I could add pops of color here and there. That's a wrap. I wanted to keep the room simple but functional. Being that this is their play room/ bedroom making sure they had enough storage was a priority. I will be sharing pictures on my Instagram once I get their rug and light fixture, make sure you're following me to stay in the loop. Have a blessed day! You designed such a beautiful room! 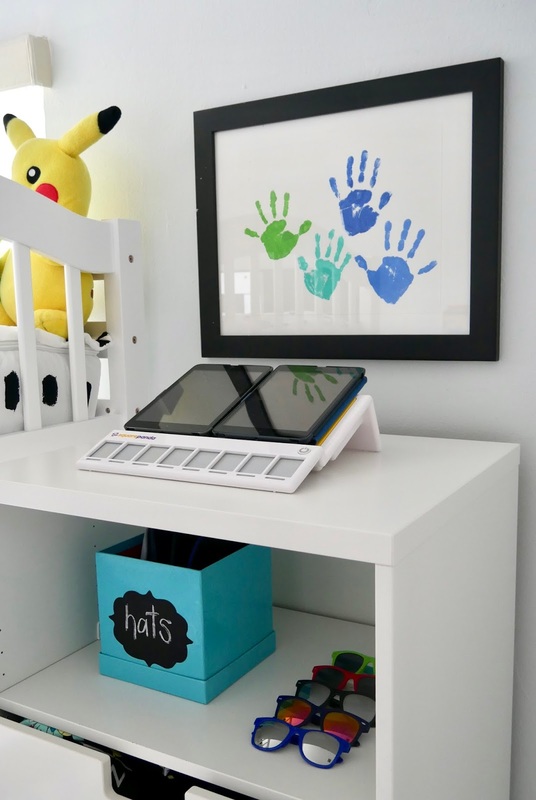 I really like the handprint portrait and how you have their books organized on the wall! I have never heard of Beddy's, but will definitely have to check it out! I absolutely love this room design, well done! 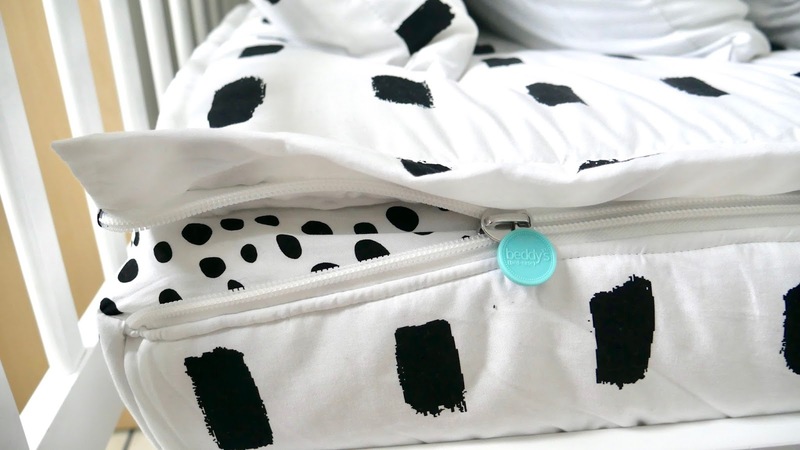 Beddy's seems like a great product. The room is really cute. Love the design. What kid wouldn't love a room like that! I need to make a space for my daughter's books too, they are becoming more and more by the week! What a great space you have created for your boys. Awesome job. Looks so clean and fresh. I've never heard of Beddy's, what a cool idea. 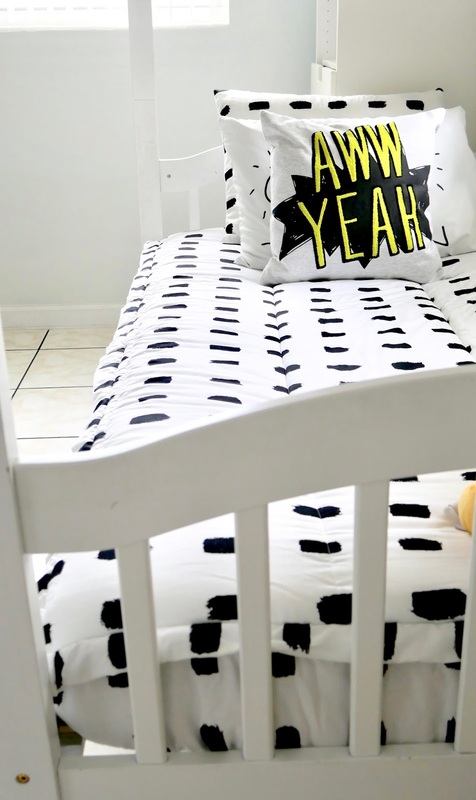 I love the black and white theme of your boys room. I think it will make it easier for you if you ever want to add or change a color to the theme. Oh my god.. 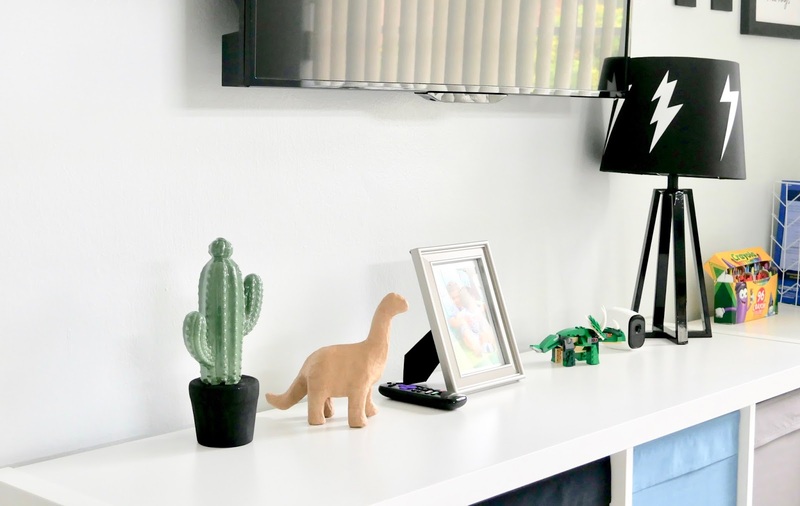 I am so much love with your kids room. It's so fresh. I am always a fan of black and white theme and you just stole my heart. This is an awesome room idea. This is perfect for little boys. I love the colors and the organization. This is such a cool and cute room. I bet they have a great time playing in their room. Thanks for sharing. You designed such a beautiful room! I really like the handprint portrait and how beautifully you design the wall. OMG! This room looks amazing! I love how nice and bright it is. I need to get myself some of those beddy's as well. Bunkbeds are a PITA to make because they sit against the wall. This would be great idea for anyone who's bed sits against the wall. 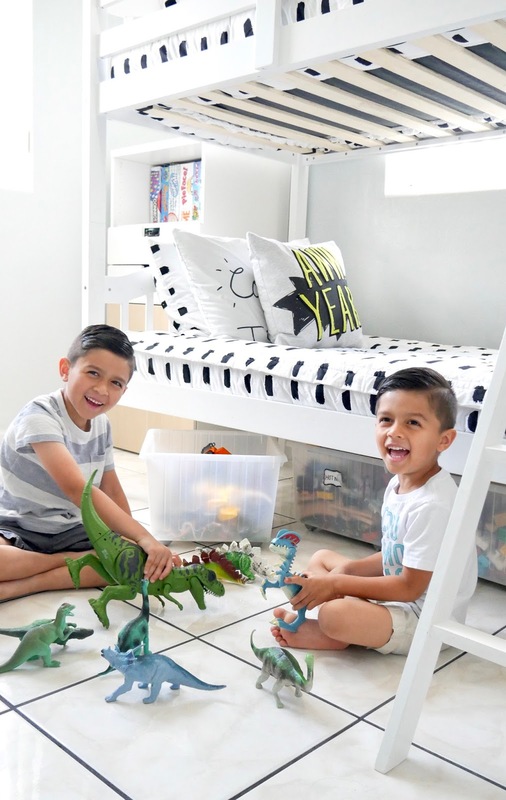 Your blog is so cute and your boys' room is amazing! 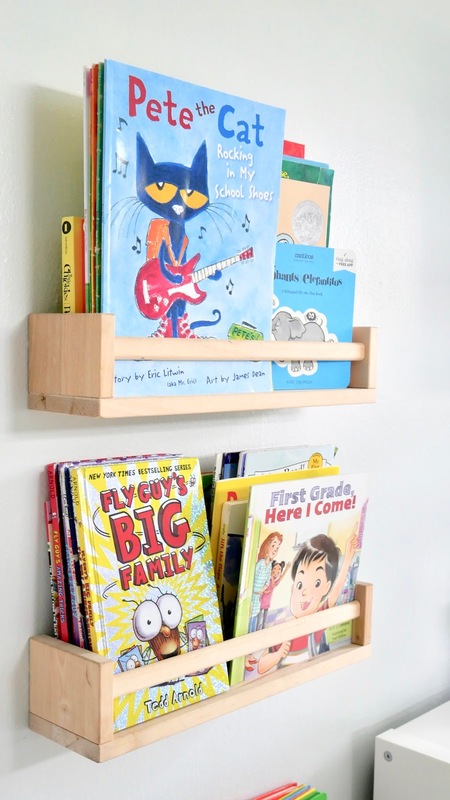 I love the use of the spice racks for the books. That's so clever! 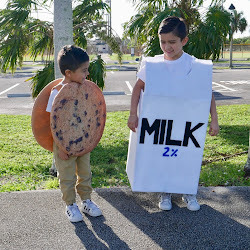 Aww this is so cute! I love their room - they are so lucky! Love the bed covers and cushions! These two are just the cutest! They are lucky to have a creative, organized and I can only assume, a wonderful mom like you! This is a very cool and cute room. Will love to have a great time playing in their room. Looks very bright and airy. I love designing this looks so fresh good job!